“No poet was more religious than he, no religious person was more poetic than he” was the tribute paid by the internationally reputed Philosopher Dr. Radhakrishnan, and “But for him the Noble Prize would not have come to the east of Suez” was the tribute paid by the world famous scientist Sir C.V. Raman, when they heard that Rabindranath Tagore is no more. The tributes of these two intellectual giants are true to each letter. Prior to Rabindranath Tagore, no one from Asia and Africa received the Nobel prize, which is still considered as the highest honour of the world. As regards the rewards of Dr. Radhakrishnan if one minutely studies all famous saints and poets, he will realize that such wonderful and unforeseen combination of deep religious feels and exquisite poetic talent can be seen anywhere else. These few lines brought a revolutionary change in Devendranath’s life. He gave up luxury and led a life of meditation and deep thinking for which he called, ‘Maharshi.” Rabindranath, as the youngest son of Devendranath inherited these divine qualities if his father even to a greater extent. Rabindranath was sent to a European School at the age of six. He studied there up to class vii. But his mentality was entirely different. He felt suffocated by the routine lessons of the School. So, he expressed his feelings to his father. Maharshi Devendranath, who had a keen foresight, realized that this son of his of an entirely different temperament. So, he withdrew him from that school and engaged several highly qualified persons as his private tutors to teach him different subjects. Maharshi often used to go to the Himalayas for meditation. He took Rabindranath along with him several times. Though then a boy of ten or eleven years, Rabindranath says, he felt the greatest joy of his life is roaming alone among the forests and hills and enjoying the endless beauty and bounty of nature. Rabindranath was a born poet. He started composing poems from the age of seven. Maharshi heard about it. He asked Rabindranath, while he was a boy of thirteen years, to compose a song for the annual function of the Brahmo Samaj which was patronized by Maharshi. Rabinrdanath composed a fine devotional song, the last stanza of which is thus “I know I will get you for ever here and in the other world and there is no bar between our communion.” Maharshi was so pleased with the theme of the some, that he presented Rs. 500 to the young poet as a token of encouragement, and recognition of his talent. Rabindranath used to compose devotional lyrics in a most unconventional way. So, the then literacy critics of Bengal looked down upon those lyrics, which had deep philosophical significance. this pained Tagore, but he never uttered a word in protest. In 1911, Rabindranath had been to England. Here he became friendly with a famous English poet named W.B. Yeats. Yeats asked Tagore to translate some of his poems into English and read it out to him as Yeats did not know Bengali Rabindranath did so. His poems charmed Yeats. He Invited several highly educated persons for a particular date and requested Tagore to read the translation of his poems to all of them. Among the persons present on the occasion were C,F, Andrews, William Peason, Charles Rothenstiene, Edward Thompson, etc. They were amazed to hear his poems so unconventional yet fathomless in philosophical value. They were unable even to praise in words. Next day, Tagore received many letters of praise and respect. Yeats took the Initiative to collect the translations and place it before the committee which selects who deserves Nobel Prize. As a result, Rabindranath was awarded the Nobel Prize in 1913. After that, these literacy critics, who once looked down upon his lyrics, started singing in praise of him. 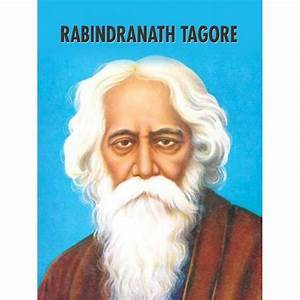 Tagore is called the “world poet.” It is for the universal quality of his poems which is seldom seen. For example, though Hari, Allah and Jehoreh means the same Almighty Power, yet in a poem the mention of Hari makes unfavorable to a non Hindu. But in his devotional poems, Tagore has attributed no particular name to God. He has talked to him as a friend. He has always used “you” or “He.” So, people of all faiths and communities have a liking for the poems of Tagore. Apart from lyrics Tagore composed about three thousand songs and he himself the tune to each song befitting its theme. Therefore, the songs of Tagore, once heard can never be forgotten. 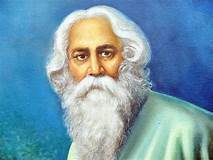 Besides that, Tagore composed several novels, a bunch of fine short stories, a few excellent dramas and a large number of deep and thought-provoking essays on various aspects of human life. Tagore was a great adviser at the ancient sages. He disliked western type of education. So, he selected a lonely but beautiful place at according to the ideals of the ancient sages a small school named “Brahma Charyasram“. It was in 1907. In 1913, when Tagore received the Nobel Prize, the value of which is more than 10 lakhs of rupees no, he spent the entire amount for this school. Gradually, the school became famous. Even Mahatma Gandhi Visited and appreciated it. So, by 1936 it was converted into a Universal fraternity was and still is he chief aim of Viswa Bharati. Here we find students and teachers from all countries of the world. The Unique genius breathed his last on 7th august, 1941. Tagore is no more. But god alone knows how many centuries will past to till the vacuum.